The nicest phono section I know of anywhere near this price. 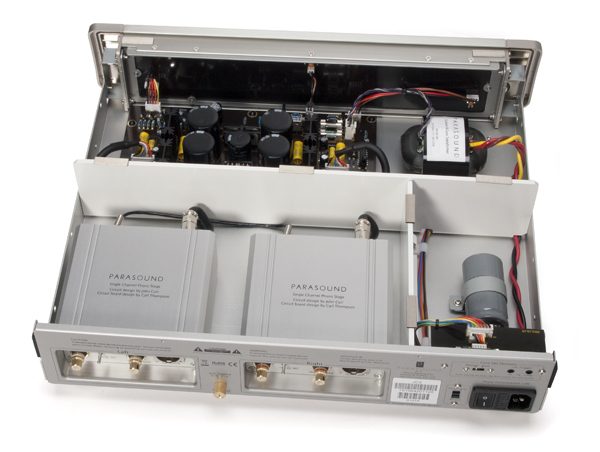 We a Parasound dealer & are interested in most trade in's like the first version JC-3 on virtually anything or a new JC-3+. If you aren’t old enough to know about John Curl, suffice it to say that he was responsible for more than a handful of legendary designs and one of the world’s greatest phonostages, the Vendetta Research—a product still held in great esteem by many audiophiles. Don’t believe me? Try and find a used one. I still regret selling mine from the early 90s; it’s like that vintage sports car you always wish you still had. And Curl hasn’t stopped to rest on his accolades, instead continuing to work on interesting designs, many of them available as Parasound products. Thanks to his association with Parasound, Curl’s designs take advantage of Parasound’s economies of scale. His latest attempt, the JC 3, doesn’t cost as much as it might if it were, say, a boutique product. At $2,350, the JC 3 is by no means an entry-level phonostage. Contrary to the size suggested by the photographs, the actual unit is larger than you might expect and takes up a full shelf on an audio rack. With only three loading options, all from the rear panel, the JC 3 easily integrates into any system. There’s a pair of RCA jacks for a single input and a pair of RCA and XLRs for the output. The front panel sports a power button and a mono button, which will thrill those with more than a few mono records in their collection. Today, $2,000 won’t buy a pair of shoes in some places, so with that thought in mind, the JC 3 is already remarkable. It shares the ultra-quiet presentation of its older sibling as well as an expansive soundscape. And yes, the JC 3’s tidy layout and shielded amplification modules significantly contribute to the final result. I didn’t start serious listening tests until about 100 hours of signal had passed through the unit. Once the break-in period concluded, I was immediately impressed. Having logged countless hours with the AVID Volvere SP/Triplanar/Denon DL-103R combination (which just happens to sound its best when loaded at 100 ohms) with numerous phono preamplifiers, I had this combination burned in my head. I admit: The Denon is one of those rare cartridges that performs way better than its modest $379 price tag suggests, and when good synergy is achieved, makes for a spectacular sonic marriage. Another combination with which I had excellent luck was the Shelter 501II mounted on an SME 309 arm, and fitted to the AVID Diva II SP. Thanks to the 47k/high gain setting, the JC 3 also made an excellent showing with my older Grado Statement moving iron cartridge. The latter requires 47k loading, but only has an output of .5mv, like a moving coil cartridge. It’s slightly on the warm side of the tonality scale, but possesses great inner detail, a characteristic that perfectly mated with the JC 3’s speed and low noise. Since the Denon cartridge is always well suited to classic rock, I loaded up on it like any 70s-loving, meat-eating male should. The drums and plucky acoustic guitars in Dire Straits’ Communiqué literally leapt out of the speakers in a way that I’ve never experienced with a phono preamplifier at this price. Indeed, the Nagra BPS is the only other $2,500 phono preamplifier I’ve experienced with such a level of refinement. Yet its presentation doesn’t possess the JC 3’s size and weight. The JC 3’s lack of grain also became apparent after a few long listening sessions, and was on par with that of higher-priced phono preamplifiers. On some of my favorite acoustic-based tracks, I noticed an unexpected tonal purity. Groove Note’s The Jung Trio, rapidly becoming a warhorse in the TONEstudio, offers exquisite renditions of violin and piano—deeming it essential for critical listening sessions. The JC 3 passed the test easily, keeping the instruments well separated and sounding as they should. A quick comparison to two slightly more expensive phono preamplifiers with vacuum tubes under the hood proceeded as I expected, with the ARC PH6 and Red Wine Audio Ginevra (both reviewed in Issue 37) claiming a bit more image depth and palpability. Neither was as dynamic or quiet, yet the battery-powered Ginevra came very close. The JC3 also had a deeper, more powerful presentation in the lower register. The bass line in Run-D.M.C.’s “Can You Rock it Like This” from King of Rock showed off more grunt than the two tube preamps could muster, offering up the kind of bass I actually felt through the JC 3. While the JC 3 has “on board power conditioning” that will no doubt aid many users, it nonetheless benefited from an upgraded power cord (a Shunyata Python CX) and being plugged into the Running Springs Dmitri. The effect was palpable, as if going from stock tubes to matched NOS models in a tube preamplifier. So, if you invested in a high-quality power line conditioner, don’t hesitate to plug the JC 3 into it. The JC 3 offers high performance within a slightly narrow range of parameters. For this writer, that’s a good thing. Another product at this level that comes to mind is the excellent Ayre QB-9 DAC—hardly all things to all people but, for those requiring only a USB input, a superlative DAC for the price. The JC 3 takes a similar approach. Provided you have a cartridge that works well with 100 or 47k loading, the JC3 should check off all of the boxes on your must-have list. Even at the $2,500 level, I’d rather have one input and excellent sound than multiple inputs and functionality with average sound. Your requirements, of course, may be different. The JC 3 will make a $1,500 turntable/cartridge combination sound much better than it has a right to, yet will keep pace with your favorite $10,000 turntable package— making it a component with which you can really grow. Having both RCA and XLR outputs should help this phonostage survive multiple system upgrades, no matter what direction you choose for your linestage. If you are already heavily invested in something that requires 500–1000 ohm loading, move on. But if you are willing to first invest in the JC 3 and then find a 100 ohm cartridge that you love, the JC 3 could be the last phono preamplifier that you need—unless you are buying a megabucks analog front end. High build quality with simple but solid casework from a company you can trust and superlative sound make for excellence in our book. 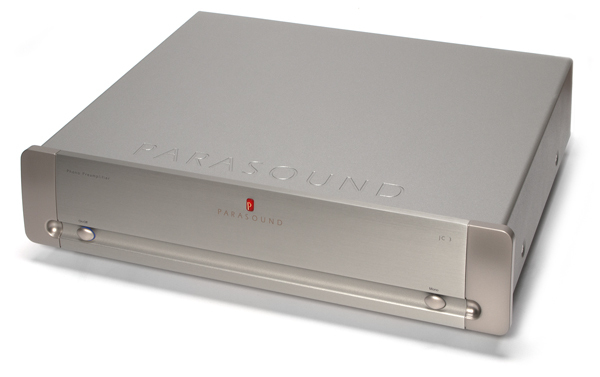 Hence, I am happy to give the Parasound JC 3 a TONEAudio Exceptional Value Award for 2011. Priced under $2,500, the unit is nothing short of a miracle. Note: Watch for our follow-up article in the coming weeks. One of our staffers still has their Vendetta, and it’s on its way to my office. It will be interesting to compare and contrast the new and the old, with all other variables eliminated. 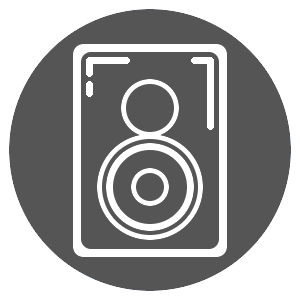 collections, specialists buying Audio Estates and most quality trades are welcomed. All sales out of California are State Sales Tax exempt. 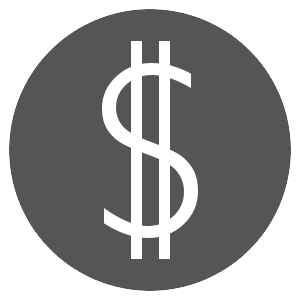 California State Sales Tax of 9.75% applies for items picked up or shipped to a California address. at 310-927-2260 and I can answer your questions and help you with all of your new and pre owned needs.